When the latest v1.2.2 Angry Birds Rio Mac update landed we were all scratching our heads as to why the “Redeem Code” option required to unlock the secret Golden Beachball episode was missing. Unfortunately, we still don’t know why it wasn’t in the update, but if you are on a Mac there is now a way for you to access these levels (yes, you still need to buy Rio on DVD or Blu-ray). Let me start by saying how you go about accessing the Golden Beachball episode is NOT through an update via the Mac AppStore. Rovio has actually created what they are calling the, “Angry Birds Rio Bonus Version”, which — so far as we know — is currently only available for the Mac. The “bonus” version is basically the same as Angry Birds Rio Free, which is available for iOS devices (don’t confuse with ad-free on Android). The “Free” versions of Angry Birds are like teasers and only contain a handful of levels. 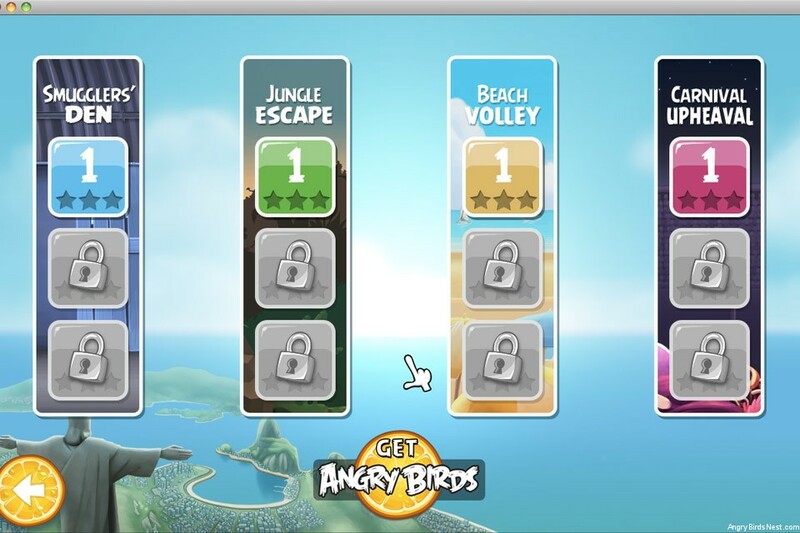 Angry Birds Rio Bonus Version currently includes 12 levels, plus 15 Golden Beachball levels (links to walkthroughs). However, before you can play the the Golden Beachball levels they MUST be activated. This requires a code found in the Rio DVD or Blu-ray. For detailed instructions about that please checkout this article. 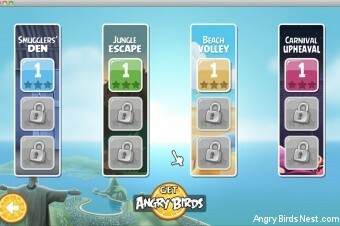 Angry Birds Rio Bonus installs as a separate application and looks to be free (i.e. 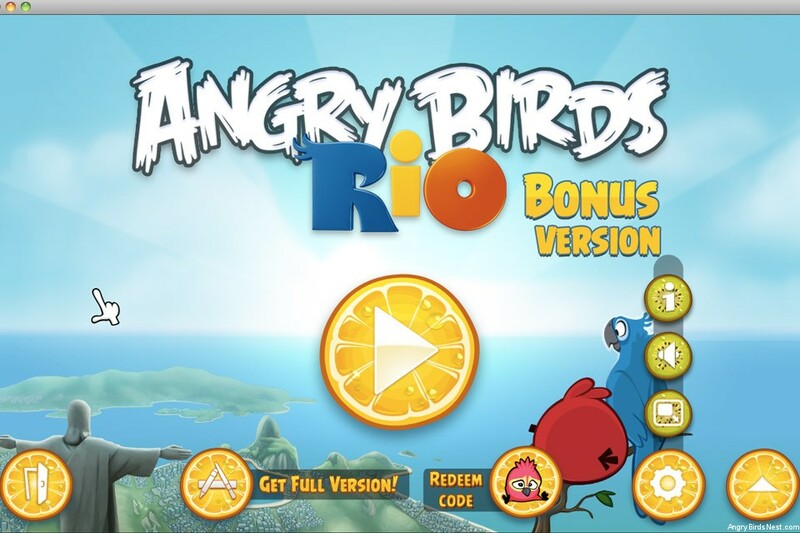 you don’t need the full version of Angry Birds Rio for Mac to play this). There is a “Activate the Full Version” button in the game, but that just links to Angry Birds Rio in the Mac AppStore, so it’s not actually activating the Bonus version. A LOT more info on the Golden Beachball episode. How can i download Angry Birds Rio? If you’re on a Mac you can get it in the Mac AppStore. Hey dude! Angry Birds v1.6.3 is out now on the iOS! The last Mine and Dine levels! I’ll be waiting for some walkthroughs…! Awesome. Thanks for the heads up. I don’t usually look this late. Indeed, thanks! I just posted an update about v1.6.3 update here. If you are using Mac, you can simply go into the Mac AppStore and there is an option to check for updates. If i have the code, can i unlock the exclusive level in my N8 (Symbian). Refer to the mobile instructions on the original Golden Beachball post. Help me understand this…. I will NOT be able to PLAY the Beach Volleyball stuff unless I buy the DVD or Blueray and have the code, correct? For Mac and PC, that’s correct. 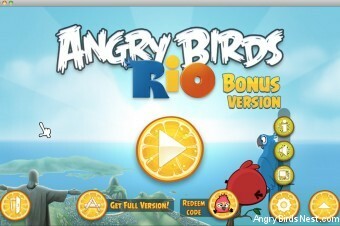 I have Angry Birds Rio v1.4.0 on my Nook Tablet. I’m trying to unlock the extra 15 levels but nothing happens when I get the red bird below the rock. No volleyball swings down. What am I doing wrong? Follow the video on the non-Mac post. How do u get the feathers on the Rio game? This should help you: Mighty Eagle Explained.